Mental health is finally starting to be talked about openly. The energy added by recent celebrity, and royal, sharing of their personal challenges, has helped many sufferers find the confidence to address their mental health needs too. Communication is enabling us to define the problem as a society and identify remedies. The impact of increasing general mental wellness and happiness will be profound for our societies, economies and, of course, for each of us personally. However, unlike physical health, mental welfare is under resourced in most countries and deep stigmas still abound. At CitizenMe we are working with University researchers to provide insights that will help people with serious mental health conditions and the general population, all of us Citizens. Simultaneously, major consumer brands are grappling with the impacts of digital technology on their customers, and also a growing societal expectation that they will help societies change for the better. We trust these big brands to do a multitude of jobs in our everyday life, sometimes important, sometimes intimate, sometimes mundane. We interact with them dozens of times a day. We work with many of these brands on a daily basis. If they want to help, how can they do so? And what about brands that see this as an opportunistic marketing exercise to ‘get into our heads’ and just make us buy more stuff? Who can we trust? What do brands need to do to get it right? As a Citizen intelligence company, we are actively engaged in both of these conversations, but separately. Therefore we sponsored a conversation with leading thinkers from each camp for a shared conversation at the intersection of mental health and brands. Our aim was to initiate a meaningful debate and sponsor what we hope is the first of many discussions aimed at making better sense of our new algorithmic century. On 13 November we settled into a packed room at Somerset House, with attendees from mental health research, charities, consumer insights, major brands. advertising agencies and the media. Scott Morrison (@ScotttheBoom) – Founder at Bringer of the Boom! Led by Hal Hodson, Technology Correspondent at The Economist, they unpacked the space for the engaged audience. The planned 60 minutes soon became 90, with the room still full. We could have gone on for another hour. We never set out to provide a binary answer to the question, and in retrospect that was the right approach, as we soon realised just how complex the broad subject matter was. We have tried to capture the essence of this far ranging and provocative debate, below. Josh, CitizenMe’s Strategy Director set the scene with some examples of ways brands are currently involved (two examples below). We have noted some of the recent developments in the space of emotion tracking by big brands, in the scramble to productise emotion analytics. This has been referred to as the “next frontier” (Campaign, March 2017) in contextual message matching. Better than simple demographics and more precise that location. There is tremendous value to be taken from understanding users’ emotions, but this assumes that this tracking is known to the user, and the intent behind it gathering is for the good of the person being monitored. 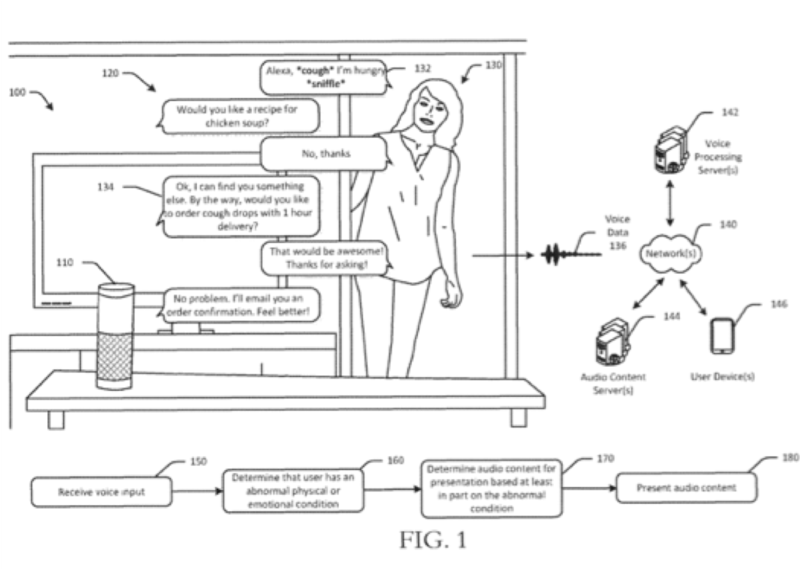 Amazon’s recent patent for “Voice based determination of physical and emotional characteristics of users” using Alexa, when matched to recent tests like ordering Dominos pizza via voice, may seem trivial, but could have far reaching, unintended, implications. This thinking could lead to some ethically questionable scenarios; from pushing credit cards to those in financial strife, to selling alcohol to those feeling lonely or fast food to children. The safeguards and ethical standards simply aren’t in place. There is a lack of definitive, long-term studies that have provided clear steps on how social media platforms, and personalised messaging, affect our mental health. They agreed that mental health isn’t only about the impact of mental health concerns on sufferers but is a continuum and part of overall health and wellbeing for all of us. There was consensus that brands do have to take responsibility for the potential impact of their messaging, interruptions and tracking of customers. They agreed that brands have to prove that they are truly tolerant of people dealing with mental health challenges inside their organisations before they have a right to offer guidance to customers. Brands must move away from the shallow measurement of impact in purely reach-based terms and to a model that quantifies the quality of a prolonged conversation. Put simply, people will trust brands that are prepared to foster a relationship for long term mutual gain over brands using tactical targeting to drive a transaction. Yet this is where much of Ad Tech has taken us. Our panel differed on where the line between “creepy” and “helpful” lies, when brands that track and follow us choose to then interrupt us, and ask if we are “ok”. This is never an easy intrusion to make. There is still much debate over the commercialisation of personal data by trusted bodies like the NHS, where the concepts of greater good can be at odds with the need to sell more treatments or drugs by those accessing this private data and developing commercial health treatments. There is still a difference of opinion between mental health professionals and marketers on what constitutes a “normal” representation of mental health. Key to this is whether brands have the authority to decide what “normal” looks, sounds and feels like. For most normal was a continuum, but the brands don’t always have the opportunity to show all of the range that “normal” represents. 45% of adults wouldn’t trust brands to not have an ulterior motive when attempting to help individuals with their mental health. Download the free report summary. We know that there is a need for a common good agreement on the use of emotion-linked marketing, but there don’t appear to be many signs of global self-regulation. The question remains if big players aren’t prepared to act ethically is it responsibility of citizens or governments to regulate this? The feedback to the conversation has been incredibly positive, and there is a desire among attendees to continue the conversation. We plan to run a series of similar conversations in 2019 and will return to this topic mid-way through the year. Please contact us if you’d like to join us. 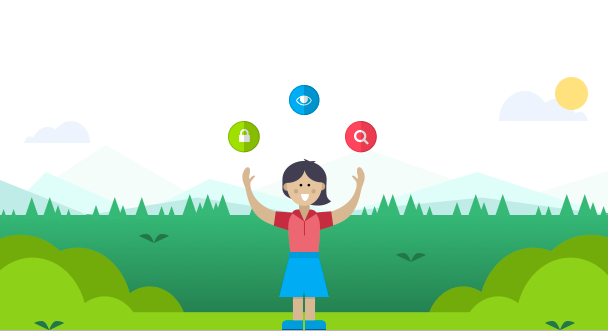 At CitizenMe we believe that brands have a responsibility to think through the potential impact of their actions and choices. We believe that only by starting with the intention to do good for digital citizens first, can brands truly be successful in the long run. We are also a founding member of the global MyData network. A group of organisations who believe that it is our collective mission to “empower individuals by improving their right to self-determination regarding their personal data”. We welcome you comments and feedback.